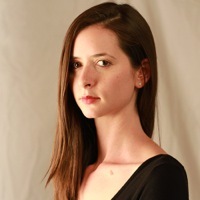 Hannah Hoel has lived in London, New York, LA, DC and Santa Fe. She has degrees in visual culture, philosophy and fine arts. She was selected for the first cohort of SITE Santa Fe Scholars. Winner of Semionaut's first new writer award, Hannah currently works for Space Doctors and is based in Brighton UK. Hannah has written on arts and culture for THE Magazine, Adobe Airstream, The Santa Fean and the Huffington Post.